Join our Webinar to see how to manage your steel fabrication process more efficiently with the help of STRUMIS - Steel Fabrication Management Software – and Raptor Software from Peddinghaus. Steel fabrication management software and CNC machine CAD/CAM software can communicate effectively and share project data seamlessly. The benefit is that the correct data provides real-time feedback, optimum resource utilization and therefore saving you time and money. Raptor saves time and capital by processing optimised bar nesting files and other relevant information directly from STRUMIS. The exclusive Raptor software is designed with simplicity and precision in mind. 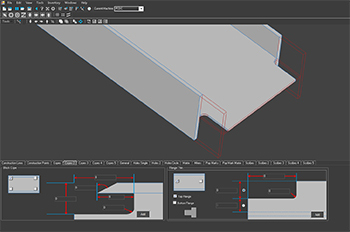 See STRUMIS interact with Raptor CAD/CAM software from Peddinghaus to enable you to maximise your efficiencies and save time in your steel fabrication process.